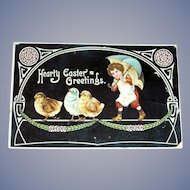 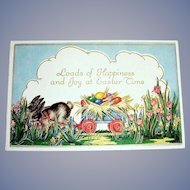 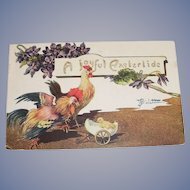 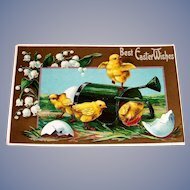 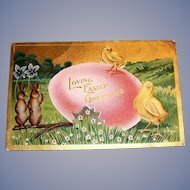 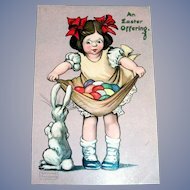 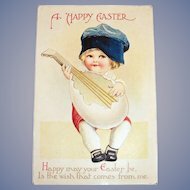 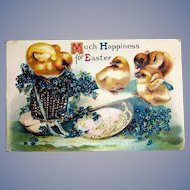 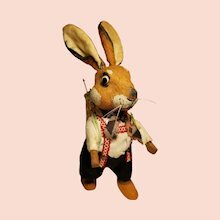 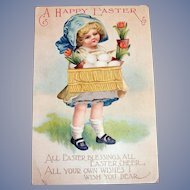 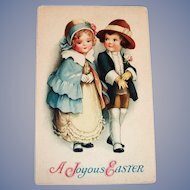 For your consideration is a lovely & vintage Easter postcard titled: "To Wish You A Joyful Easter." 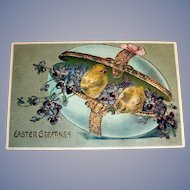 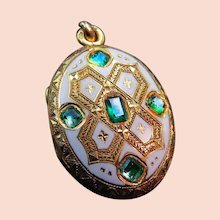 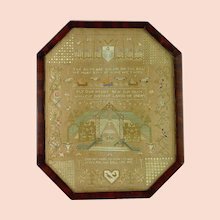 It displays a lovely Cross with a gold tone filigree design overall, pretty Pansies on both the top & bottom of the Cross & tiny blue flowers on the horizontal ends of the cross on each side and all on a light blue background & framed in gold tone around the Cross. 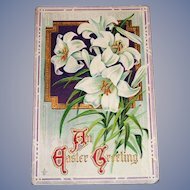 On the left front of the Cross is a lovely bouquet of Easter Lilies. 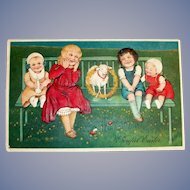 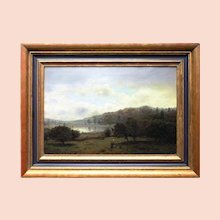 The whole scene is done on a cream colored background & framed in a light green color. 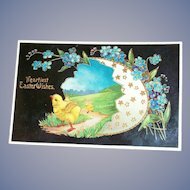 The colors are still vibrant & lovely! 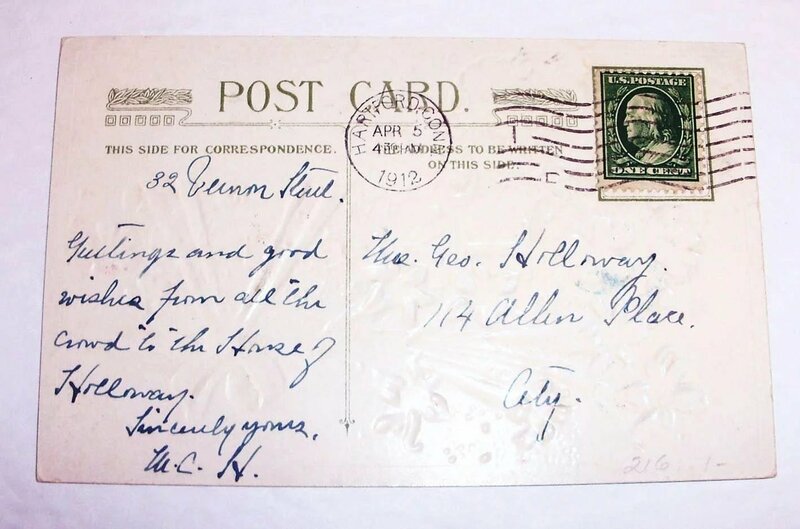 There is writing on the back, a postmark dated 1912 & a green Franklin one cent stamp. 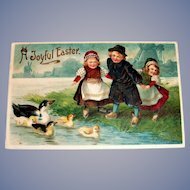 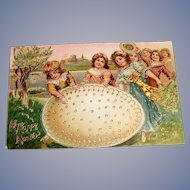 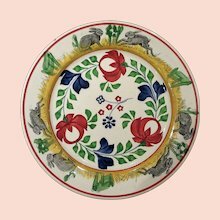 It is approximately 3 1/2"W X 5 1/2"L.
For a postcard that is 107 years old, it is in very good, vintage & collectible condition. 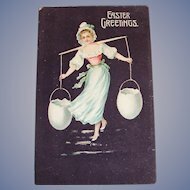 There is light wear overall from age & use, however! 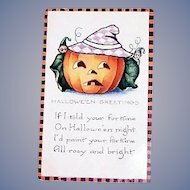 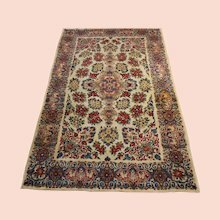 Such as: Light yellowing, lightly scuffed corner & edges & the postal mark has lightly come through on the front. 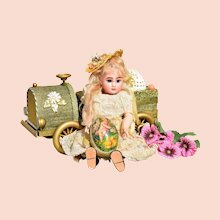 All flaws noted are minor & only mentioned for accuracy!